The Fair Work Act 2009 represents another legislative milestone in labour law in Australia. Under this legislation, the Fair Work Commission (“FWC”) has become the new industrial umpire. It has replaced the Australian Industrial Relations Commission as well as other bodies and is a “one-stop shop” for the resolution of labour disputes. The objective of this legislation is to replace all state legislation with respect to unfair dismissal and unfair contracts so as to create a unitary industrial relations system for corporate employers. There is also the objective of creating a uniform set of standards known as the National Employment Standards as well as a simplified set of modern awards. The purpose of this article is to briefly consider the unfair dismissal provisions under this 2009 enactment and how it is relevant to senior executives. it was not a case of genuine redundancy. What are the other qualifying requirements to bring an action? you earn less than the “high income threshold” (which is indexed in July each year), which is presently set at $145,500 per annum. If you are able to satisfy these requirements, you are allowed into the system and can file an unfair dismissal application. Applications to the FWC must be filed within 21 days after the day on which the termination took effect.The parties are then requested to attend an informal conference at the offices of FWC with a view to trying to resolve the matter. What remedies are available from the FWC? The FWC has the power under the legislation to order reinstatement. This is usually a difficult remedy to obtain. Alternatively, it can award compensation of up to 6 months’ salary.A six-month payout would usually only be reserved for an employee of an unusually long period of service and who was terminated under egregious circumstances. It is important that you obtain legal advice before commencing any such application in the FWC.This is because the basis of the claim and the quantum of any likely damages need to be independently assessed. However, it also needs to be considered whether you have alternative causes of action. 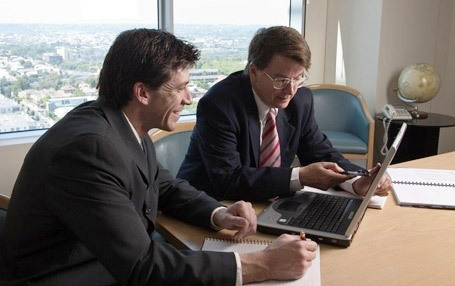 This could include a discrimination claim under State or Federal equal opportunity legislation, a claim for unlawful termination or a contract claim based on the common law.An unlawful termination claim (unlike an unfair dismissal claim) would need to be launched in the Fair Work Division of the Federal Court. The termination must have been because of temporary absence from work because of illness or injury, filing a complaint against an employer, or for reasons of race, colour sexual preference, age, physical or mental disability etc. This list of grounds is not intended to be exhaustive. The statutory unfair dismissal remedy has now become part of Australian folklore. It is certainly true that access to the unfair dismissal provisions under the Fair Work Act 2009 has been greatly improved in comparison to earlier legislation. However, there are still a number of obstacles that have to be cleared before commencing such an application, not the least of which is the salary cap. For this reason alone, most middle to senior executives will be blocked from commencing these types of applications. The reality is that the unfair dismissal remedy will be of no relevance to most senior executives. However, if you are employed as a senior executive in the federal, state or local government sector or in the college/academic/health services environment, this avenue for legal redress may still be open to you. This is because you may be able to demonstrate that your terms and conditions of employment are regulated by a State or Federal industrial instrument or by an enterprise bargaining agreement. Each case needs to be individually assessed on its own merits. The effect of the Fair Work Act 2009 is that it will make no difference to your contractually-based rights where the focus is on obtaining compensation for the wrongful termination of an employment agreement. This means that executives must continue to pay close attention to the contracts they sign, apart from the National Employment Standards there is no “safety net” beneath them. The message from the Federal Government remains that you are on your own when it comes to remedies for the wrongful termination of your employment contract. This is especially so if you are a private sector employee. 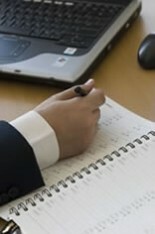 Obtaining legal advice at the time the contract is being negotiated is therefore crucial. In addition, you may have valuable common law rights. These need to be properly evaluated. You may well, of course, have remedies under the Compeition and Consumer Act 2010, or Equal Opportunity legislation, (state or federal) or a contract claim for breach of an implied obligation of mutual trust and confidence and/or a claim for reasonable notice. Legal actions of this nature remain unaffected by the Fair Work Act 2009 and will almost certainly become of growing relevance in future years. In addition, you may have grounds for filing an Adverse Action Claim under the Fair Work Act 2009. If you feel that these categories may apply to you, you will need to take legal advice to explore these issues further.